Andrea has always been a strong passion for music of the electronic type. He said he was interested in the genre of House. In the summer of 2007, when he heard his Dad (DJ Ferry) at a local club (Elba Island, Murumbi) he knew he was a DJ and he started his career standing behind his father. and many people started to follow him and in the summer of 2008 most of the clubs started to invite him to play. 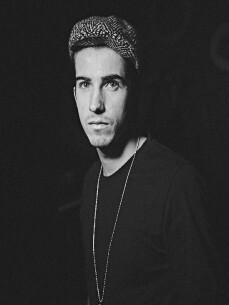 After a few memorable events in 2009 he started to mix in new genre, Minimal Techno. In the summer he went to Elba Island and became a resident at the Club 64 club. In 2010 he started to produce music and made his first track. In the winter 2011, Andrea started to play in the Ukraine where he was approached by various clubs. He noticed a radio station Kiss FM, which led in 2014 he played GUEST MIX, and also in 2015 the track title "Telephone" which has been successfully rotated on the charts. 2015 began a collaboration with the best singer of the legendary Italian Techno scene - Franchino (Metempsicosi). Was written a new track "Think i'm holding" which is supported by many artists and Ibiza called MTV IBIZA 2015. In 2016 planned the release "FIRE EP" the album will be signed on the German label Jannowitz Records. During his career, Andrea has worked with such artists as: Anna Lee, Tesla, Franchino, Tocadisco, Max Bett, D'Unity, Joy Kitikonti, Anturage, and many others.